Hard hats are made of a high density polyethylene. Includes an adjustable headband for comfort and safety. 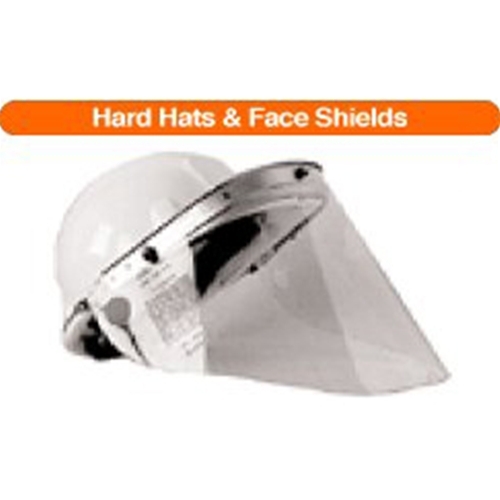 Plastic face shield with bracket fits securely on the hat for added protection.